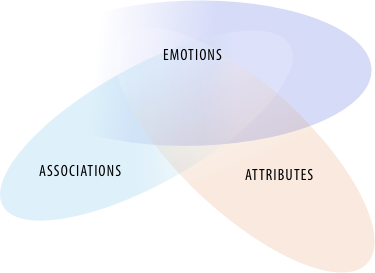 What if you could search for music by defining the desired emotional responses and associations of your audience? Our AI gives you objective music recommendations based on desired emotional responses, associations and brand values. The beauty of our way of describing music is that it is comprehended equally well by humans and by machines. Using our universal language, we've trained algorithms to understand which aspects of a track lead to certain emotions, associations and attributes. What makes our music sourcing so valuable is that the algorithms are trained using real consumer reactions derived from our own market research platform. This allows us to predict consumer reactions to a specific song, without the need for later market research. Let's take a look at a simplified example. Imagine you are making a movie about spies. You want to find a song that as many people as possible associate with your subject. How cool would it be if your music search engine knew what your target audience associated with ‘spy music’? Or even better: imagine it learned from 250,000 songs what makes a song a spy song, using aspects like instrumentation, style and over 2,000 further criteria. Aggregated into a 128-dimension vector and processed by Diabolo networks.